Sarah Louise Corke is like any other child growing up in rural Ireland in the late 70s, having fun with her friends, going to school, getting teased and tormented by boys and of course trying to act cool. Sarah comes from an average family with Mum and Dad, two sisters and a forgetful Granny and they live a fairly normal if unexciting life. This is all about to change as a school trip turns into something completely unexpected, join Sarah and her friends on a roller coaster of emotions as they try to get to the bottom of a mystery surrounding the whole village and the characters in it. Will they succeed in finding the truth, will they simply run out of time, will they be able to convince anyone of the truth, and will Mickey Thompson ever grow up? 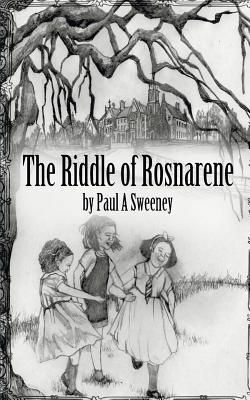 Join Sarah and her friends, family and a bunch of senior citizens as they try to unravel the Riddle of Rosnarene with some hilarious consequences.